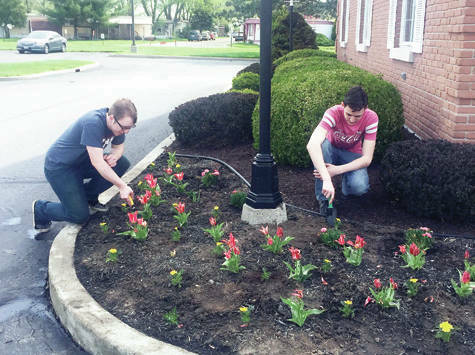 Two Wauseon FFA members performed landscaping duties during the chapter’s recent Community Service Day. The FFA chapter partnered with the Wauseon Chamber of Commerce to fan out and assist city and Fulton County businesses for a day. Duties included anything to help provide service to the community. https://www.fcnews.org/wp-content/uploads/sites/45/2018/05/web1_FFA-service-days.jpgTwo Wauseon FFA members performed landscaping duties during the chapter’s recent Community Service Day. The FFA chapter partnered with the Wauseon Chamber of Commerce to fan out and assist city and Fulton County businesses for a day. Duties included anything to help provide service to the community.